I may be a little late to the party, but I've had my nights occupied with Gotham, Salem, American Horror and The 100 for ages - how could I have known? 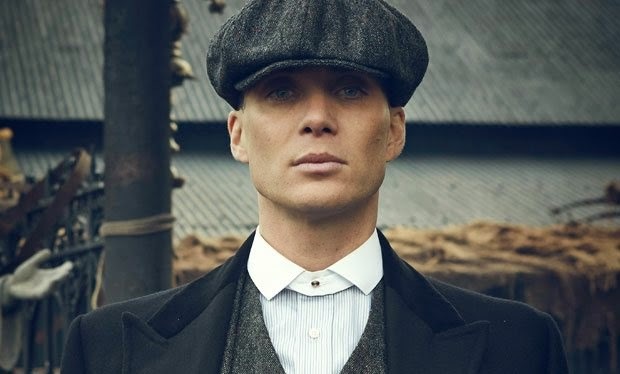 Anywho, Peaky Blinders has entered my life and my style canon, at long last. Paul Anderson (Arthur), Joe Cole (John) and Cillian Murphy (Thomas). 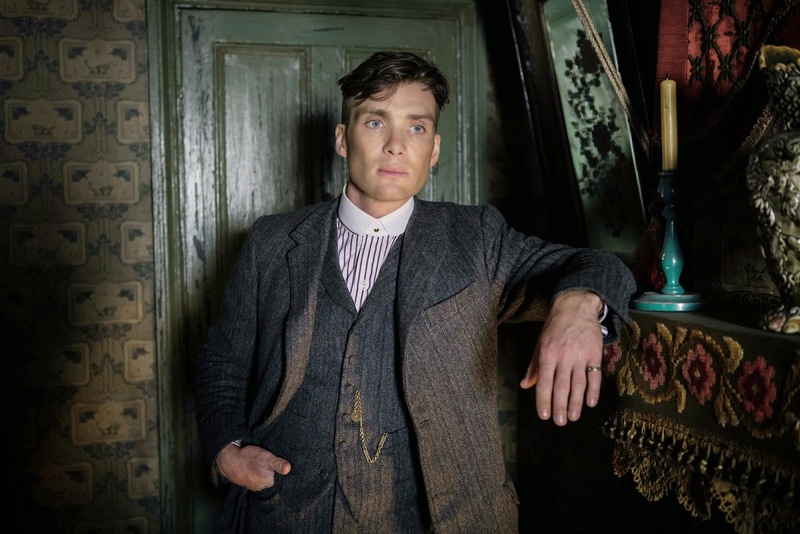 The show is a drama series starring Cillian Murphy (my Mum was totally going to call me Cillian!) and it chronicles the life and times of the legendary Birmingham family gambling ring from 1919, nicknamed the Peaky Blinders because they rather cheekily took to sewing razor blades into the peak of their flat-caps to injure, and often actually blind, scaly-wags that got in their way. Naughty boys. Aside from the gratuitous violence and scenes of a sexual nature, the show comes out top trumps in the style stakes too, with amazing attention to detail all round. 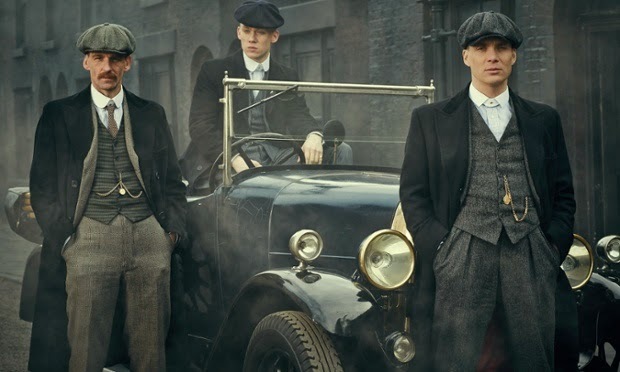 The Costumer Designer is Stephanie Collie, who worked on Guy Ritchie's Lock, Stock and Two Smoking Barrels and her modernised view of 1919 West Midlands style is a wonder to behold and quite the transferable look for a dabber gent of 2014/15, if I don't say so myself. Cillian Murphy in a three piece tweet suit as Thomas Shelby. The key to the look is a respectable nod to cut and materials of the age, simple cottons, thick tweeds and muted, dusty hues. Whilst, retaining some modern twists here and there, shiny collar pins without a tie, billowing and yet tapered overcoats, you get the gist. I especially love the shirts used in the show, a round cut-away removable collar style that the boys wear with or without ties and often with collar pins too. Cillian Murphy and the collar of champions!